Feeling happy, safe and secure is vital to a fulfilling and rewarding time at school and providing effective pastoral care underpins everything we do. Our aim is to provide an environment where every pupil is valued as an individual, can develop self-confidence, build lasting friendships, make the most of their talents and succeed academically. This has been recognised by the Independent Schools Inspectorate, who describe our pastoral, welfare and health and safety provision for both day and boarding pupils as “excellent”. Pastoral care is overseen by Pastoral Head Mr M Pepper. Care for new pupils begins before they join the school with information and the opportunity to enjoy taster days. This is followed by induction in the Trinity Term before they join us full time. Support continues as new pupils join the school community as we seek to help them settle in as quickly as possible. As well as having their own Houseparent and Tutor, new pupils in Year 7 are allocated a “buddy” from Year 8 to act as their personal guide. Tutors speak with parents of new pupils after the first few weeks to let them know how their child is settling in. We warmly encourage all parents to visit the school to support their son or daughter in concerts, sports matches and other activities. 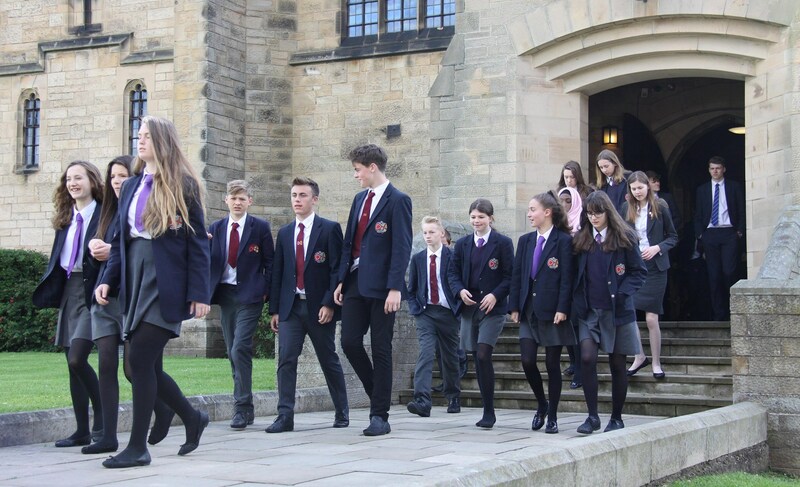 As well as their subject teachers, who are always available to discuss academic matters, all Senior School pupils have a tutor and housemaster or housemistress to oversee their personal welfare on a day to day basis. The school counsellor, independent listeners and the school chaplain are further sources of support. Father Darren has an ‘open door’ policy for any student who wishes to offload a burden or discuss a personal matter – of faith, friendship, family, their future or any other issues. Pupils, too, play a significant role by providing peer support. We are proud of how our pupils are involved in offering care, guidance and support to each other. Younger pupils, in particular, value the opportunity to discuss issues with fellow students in an informal and accessible aspect of our extensive pastoral care structure. Peer Support Group – a group of senior pupils volunteer each year provide a confidential, listening service to fellow pupils in Years 7-13. They are trained in school with input from the Samaritans and wear a badge to identify themselves. Student Council – meeting on a regular basis, the Student Council has representatives from every year group, providing a voice to pupils’ ideas and opinions. Committees with responsibility for equal opportunities, cyber-bullying and anti-bullying also meet. E-safety training is provided to all pupils in ICT lessons and the PSHE programme.